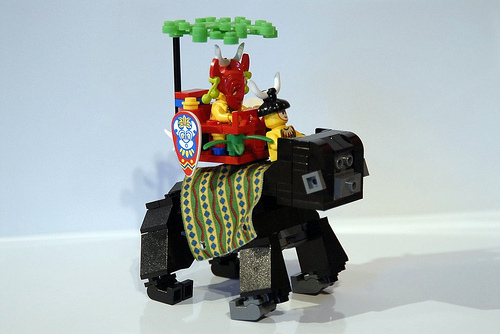 I’ve been having nostalgic interest in old and short-lived themes, so it was nice to see this this Islander chief on his gorilla steed. I especially like how Ed captures the beefiness of the arms and the curve of the knuckles on the gorilla. Sorry for the image quality, it’s to do with my linking, not with the quality of Ed’s original picture. Edit (JW): The image link has been fixed.